Do you wonder if you could be an astrologer? Does it show in your birth chart? Yes! I show you Linda Goodman’s birth chart and how it shows she is an astrologer. 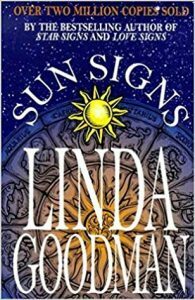 Linda Goodman is single-handedly responsible for many people falling in love with astrology and becoming professionals. I read her Sun Signs book when I was about 12 years old and it sparked my interest in astrology. She is famous for her books on astrology, in fact, she wrote the first astrology book to get onto the New York Bestseller’s list. I believe that book was Sun Signs. 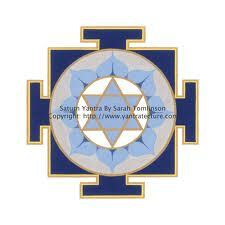 She is also famous for her books Star Signs, and Love Signs. One of her less known books is Venus Trines at Midnight which poems. She was known for her writing about astrology, and you can see the writing yogas in her chart too. 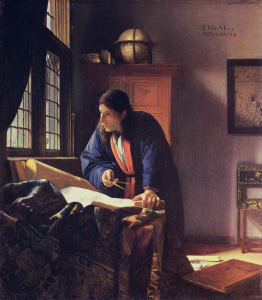 You don’t have to be a writer to be an astrologer, but you will do a lot of writing in some way or another. At least, I have as an astrologer, a lot more writing that I expected I would do. SEE VIDEO BELOW. What Kind of Astrologer Would You Be? But you could be a researcher, a scholar, or a counselor. You may be an entertainer or a teacher as an astrologer. You could do a combination of teaching, writing, research or speaking. Which one of these talents you would use as an astrologer will show up in your birth chart. If you want to learn Vedic astrology in a live webinar format where we can see each other face-to-face and where you can get your questions answered in real time, then The Astrology Lab Study Group is for you. If you are a beginner student and you want to become a professional astrologer or you want to learn astrology for your own spiritual growth, then The Astrology Lab Study Group is for you too. You need to be subscribed at Ernst Wilhelm’s Astrology-Videos.com. If you want to know if you are an astrologer, if you would be successful as a professional astrologer, and what kind of astrologer you could be, you can find out with the Whole Life Consultation. Timing, talents, and skills, are part of this. Part of knowing what you are is knowing what you are not. The Whole Life Consultation will help you narrow down your options and eliminate anything that won’t pay off for you. Relationships are part of this reading too. If you are considering a business partnership or wondering how your spouse will feel about your career, that is covered as well. Get the Whole Life Consultation at 20% OFF. It is normally $231 and at 20% OFF it is $185. It’s 90 minutes long and you get the recording of the consultation.